Mr. Dow’s practice involves litigating commercial disputes, as well as representing clients in various real estate, business, and entertainment transactions. 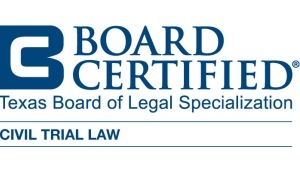 Board Certified in Civil Trial Law, Commercial Real Estate Law, and Residential Real Estate Law by the Texas Board of Legal Specialization (one of only 6 lawyers in Texas who are triple Board Certified in those same three practice areas), Mr. Dow, who is also a licensed Texas Real Estate Salesman, is uniquely qualified to assist his transactional clients in avoiding common business traps which often result in unwanted litigation. Having tried numerous jury and non-jury cases, Mr. Dow’s background provides a basis for explaining how deals are developed and how agreements unravel. He has represented clients in both state and federal courts, and has appeared before the Texas Court of Appeals. Obtaining jury verdict on behalf of property owners following breach of mediated settlement agreement by defendant, a neighboring industrial manufacturer. Obtaining take-nothing trial judgment for client, a Dubai-based company, sued by former employee, and successfully obtaining counterclaim judgment on breach of contract claim. Successfully representing shopping center developer in pipeline easement condemnation action. 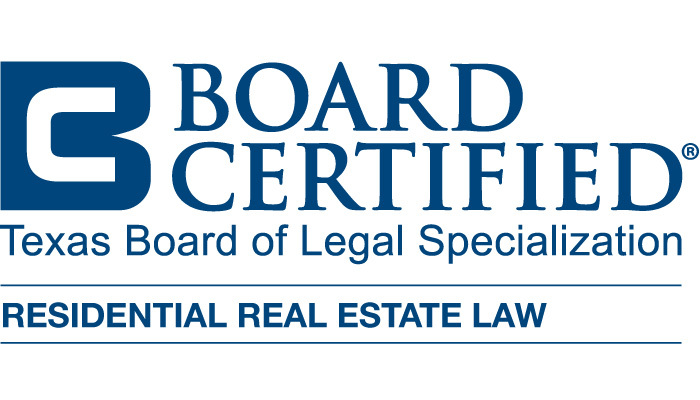 Successfully representing group of homeowners in connection with claims of deed restriction violations by commercial entity. Obtaining confidential settlement on behalf of client whose Apple ipod exploded due to overheated battery causing client significant physical injury. Successfully obtained settlement for client from Houston law firm which had committed professional negligence in connection with real estate and business transactions. Obtaining confidential settlement for elderly client physically injured at retirement home by third-party valet. Obtaining take nothing judgment in lawsuit brought by residential tenants claiming exposure to toxic mold, and successfully obtained counter-claim judgment for lease default by plaintiffs. Obtaining final judgment on behalf of client following two week bench trial relating to the partition of multiple buildings in downtown Houston. Co-counsel in obtaining jury verdict on behalf of 51 individuals who sued New York City-based real estate developer and complex of nightclubs and bars for violating neigborhood deed restrictions. Obtaining summary judgment on behalf of neighborhood civic association near Rice University enforcing restrictive covenants against homeowner’s violation of such restrictions (View Opinion). Successfully representing subcontractor in construction arbitration in which client obtained final judgment. Obtaining a $4,600,000 unanimous jury verdict on behalf of real estate investors who were defrauded in connection with the purchase of a big box retail building from a Dallas-based real estate development and acquisition firm. The jury unanimously awarded punitive damages based on the defendant’s fraud (subsequently reversed by 5-4 appellate decision).Read Article. Obtaining take nothing judgment on behalf of Arizona Bank which had been sued in connection with allegations relating to lender fraud. Obtaining a unanimous jury verdict on behalf of a minor who had been physically assaulted by his educational therapist. In corporate fiduciary litigation matter involving extended family members, successfully resolved lawsuit regarding well-established Houston family business wherein Mr. Dow’s clients ultimately acquired one hundred percent stock ownership and control. Successfully defeated summary judgment motion in matter involving claim of specific performance of real estate contract (purchase price in excess of $8,500,000.00). Successfully obtaining a favorable settlement for a minority shareholder of a closely held corporation who had been sued as a defendant by the majority shareholders seeking a judicial dissolution of the company. The majority shareholders, the plaintiffs, took nothing. Successfully representing a resort hotel in a business fraud case arising from the breach of a loan commitment (resulting in a judgment in excess of $1,300,000). Obtaining a summary judgment dismissing fraud and deceptive trade practices claims against a nationally recognized religious leader. 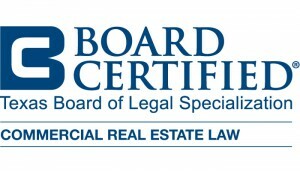 Representing national and local real estate developers in all aspects of real estate litigation, including disputes over title, mechanic’s lien issues, complex office lease disputes, construction defects, land use matters, construction contract disputes, and issues relating to possession. Defending a television cable company in a class action. Obtaining injunctive relief on behalf of a home security company whose employees were breaching a covenant not to compete contained in their employment contracts. Defending directors and officers of a nonprofit corporation who had been sued for allegedly breaching their fiduciary duties. Obtaining a dismissal of a civil rights claim against a major national healthcare corporation. Successfully obtaining a jury verdict in a breach of contract dispute against a national fast food franchisor. Resolving a partnership dispute in connection with the disintegration of a Houston law firm. Representing temple in will-contest involving estate of member of congregation. Representing seller in asset sale of well-known Houston flooring/carpet business. Representing majority shareholders in stock purchase/redemption of minority shareholder’s interest in well-known Houston family business. Representing franchisee seller in asset sale of franchise and assignment of rights. Acting as outside general counsel to Houston-based luxury and fine living magazine. Representing chain of upscale hamburger restaurants in Houston, Texas market including corporate formation, real property and equipment leasing, employment matters, and other related issues. Representing waste disposal company in sale of assets to national waste company. Representing a buyer in a multi-million dollar asset purchase of a well-known Houston trade show. Representing business which is the largest gold buyer in the country with over 200 retail locations. Representing an internationally recognized physician in connection with his employment and chairmanship of a department and institute at a major Houston hospital. Representing medical practice group in connection with corporate, real estate, and employment issues, including drafting of non-compete agreements for physician employees. Representing the nation’s largest medical board review and continuing medical education provider in multi-million dollar asset sale. Representing Houston high-rise condominium in dispute with neighboring apartment developer regarding use of air rights belonging to condominium. Representing the largest chain of Latin American fast food restaurants in leasing of new locations in Texas. Representing a medical limited partnership in connection with multi-million dollar acquisition of commercial office building in Houston. Representing a member of the royal family of a Middle Eastern country in connection with multi-million dollar disposition of real property located in Houston. Representing the seller of a “big-box” building to a national clothing retail chain. Representing a client in the potential acquisition of real property for a purchase price in excess of $11,000,000.00. Representing a commercial office building in connection with the preparation of a landlord’s form commercial lease for general use. Representing high net worth individual in acquisition of office building encumbered in bankruptcy court proceeding. Representing a film production company in connection with the production and distribution of a first-class feature-length independent, theatrical motion picture, including the drafting and negotiating of a Writer Employment Agreement, Producer Loanout Agreement, Director Agreement (Loanout), Actor Agreement, various licenses, confidentiality and non-disclosure agreements, issues relating to copyright and trademark, and the formation of a limited liability corporation. Representing non-profit orchestra in all aspects of operations, including corporate formation, negotiation of venue locations, representation of orchestra in connection with musicians and negotiations with musician union agreements. Representing art gallery in dispute over significant commission arising from placement of sculpture on prominent Houston boulevard. Representing prominent visual artist in negotiations with City of Houston relating to installation of art work at George Bush Intercontinental Airport. Representing visual artist in connection with archiving of artist’s estate with prominent university. Representing collector in purchase of art work from undisclosed seller for work valued in excess of $1,000,000. Representing music management company in connection with signing and promotion of rock band. Prior to joining Dow Golub Remels & Gilbreath, Mr. Dow was affiliated with Dow, Cogburn & Friedman, P.C., a forty lawyer Houston firm founded by his grandfather, Harry Dow, and which traced its roots to 1924. Leading Articles Editor, SMU Law Review, 1992-1993. Included in The Best Lawyers in America (2013 – 2019) in both practice areas of Commercial Litigation and Real Estate Law. AV®Preeminent rated by Martindale-Hubbell Law Directory (ranked by peers at highest level of professional excellence). Named by Texas Monthly as a Texas Super Lawyer (Business Litigation) for the years 2003-2018 (every year since inception). This selection is based on peer nominations and a Blue Ribbon Panel review process. Named by H Texas Magazine as one of its “Top Lawyers in Houston” for 2004-2010, 2013-2018. Identified as one of the “Top Lawyers” in Houston by Houstonia Magazine (2015-2018). As co-counsel, obtained Top Jury Verdict in Texas in Real Estate Law for the year 2012, as identified by Texas Lawyer’s VerdictSearch Top Texas Verdicts of 2012. Identified as a “Top Lawyer” in 2017 edition of The Global Directory of Who’s Who. Named to the inaugural list of Texas Super Lawyers, Corporate Counsel Edition (April 2008). In November 2004, H Texas Magazine identified Sanford L. Dow as one of its “Lawyers on the Fast Track” (Best Houston Lawyers Under 40). Named one of the “Top Attorneys in Houston” by Houston Magazine in its Top Attorneys & Law Firms section (an honor limited to less than 15 Houston lawyers and firms) in 2006. Certificate in Domestic and International Commercial Arbitration – University of Houston Law Center (2015). Co-Author (with Joseph A. Michels): “Peer Review Privileges in Federal Courts – A Call For Evidentiary Uniformity (or Is the Designated Hitter Good for Baseball),” 2 Health Law Litigation 17, March 2002. Author: “Airport Security, Terrorism and the Fourth Amendment: A Look Back and A Step Forward,” 58 Journal of Air Law and Commerce 4, 1993. Meyerland Community Improvement Association: Deed Restrictions Renewal Committee (2015-2016). The Rothko Chapel (Board of Directors).